The Asian Human Rights Commission received information that Muslim fundamentalist and extremist groups have advocated publicly that a Christian lady, Aasia Bibi, sentenced to death under the blasphemy laws should not be pardoned. 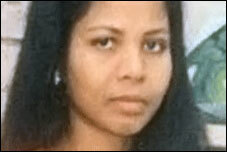 Some have offered a cash reward for Aasia’s assassination. Since the introduction of 295-C to the Pakistan Penal Code (PPC) by a military dictator in 1986, dozens of persons from religious minority groups have been killed or lynched by mobs. Pakistan’s courts have also proved themselves biased on blasphemy law. Throughout Pakistan, wall chalking and graffiti declare support for killing Aasia, call for death to Aasia, and declare support for blasphemy law. A high profile campaign has also started in the private media channels against reforming the blasphemy law, and participants use filthy words against those persons who are advocating amendment of section 295-C of the PPC. Please sign the appeal urging the authorities to pardon Aasia and abolish the amendments in blasphemy law. The religious minorities should be given full protection from the misuse of blasphemy law. Aasia Bibi, 45, a Christian and mother of five, was sentenced to death by a local court in Nankana district, Punjab province, on charges of committing blasphemy. Ms Bibi’s case dates back to June 2009, when she was asked to fetch water while out working in the fields and a group of Muslim women labourers objected, saying that as a non-Muslim she should not touch the water bowl. This resulted in exchange of hot words between her and Muslim women against each others’ religious beliefs. Five days after the incident, a local Muslim leader, Qari Salim, jumped into the matter and pressured some people in the area to claim that she committed blasphemy. When finding no way to get Ms. Bibi to confess, Salim used the loudspeakers of the mosque, as other Muslim leaders usually do in the cases of alleged blasphemy acts, to spread the news of blasphemy and instigate the people of the locality to punish the alleged blasphemer. The people of the locality beat her severely in the presence of her children. The local police came and took her into protective custody, but at the police station the crowd under the leadership of Qari Salim pressured the police to file a charge of blasphemy against her and arrest her for desecrating the last prophet of Islam (peace be upon him). On November 1, 2010, 16 months after her arrest, the court pronounced a death sentence on charges of committing blasphemy. The judge totally ruled out in his judgment any chance that Aasia was falsely implicated; he said that there were no mitigating circumstances. His comment in his verdict shows that he knew that it was a weak case and that people will oppose his judgment giving a death sentence to a woman in a blasphemy case for the first time in the history of Pakistan. According to the reports, the court relied on the witnesses provided by the Muslim leader of the mosque and Christians were not allowed to produce witnesses. The judge also did not know that according to the 2004 amendment to blasphemy law the investigation of any blasphemy charges should be conducted by an officer who is at least a Superintendent of Police (SP). In the case of Aasia, all the investigation was done by a low rank officer, the Assistant Sub-Inspector. It has been found that Pakistan’s judges, from the lower courts to the highest courts, are eager to get popularity through their verdicts and comments during the hearing. When the chief justice of the Lahore High Court stopped the government from withdrawing the case of blasphemy against Aasia on the assumption that president of Pakistan would withdraw the case, Ms. Asma Jehangir, the president of Supreme Court Bar Association told the judges that if they want to get popularity through their judgment then they should do some other job rather than being a judge. The judiciary’s attitude towards the blasphemy law is no different than that of ordinary Muslim leaders. When the Chief Justice implored the government not to pardon the sentence, another bench of the same court also asked the government not to amend the blasphemy law. It is also evident that those persons responsible for extra-judicial killings of persons accused of blasphemy will never be punished by the courts because of the biases of the courts and because of the lengthy period of trial during which witnesses were pressured by the militant groups. A prominent Muslim leader, Maulana Yousef Qureshi, a hard line Pakistani Islamic cleric, told a rally in the north-western town of Peshawar that his mosque would give Rs. 0.5 million ($6,000 US dollars) to anyone who kills Aasia Bibi. The Maulana is the leader of Mosque Mahabat Khan, the biggest in the Khyber Pakhtoon Kha province. His announcement was carried by all electronic and print media, yet the government has not taken any legal action against Maulana for inciting people to kill extra judicially. Muslim religious groups all over the Pakistan are holding protest meetings in large numbers, instructing followers that there should be no compromise if the government or courts pardon Aasia’s death sentence. The governor of Punjab, who met Aasia in jail after her sentence and assured her that he would take her case before the president of Pakistan, advocating to pardon her. However, the Lahore high court suddenly stopped the process and said before the decision of the court that the government cannot do such a thing. All the religious groups and parties maligned the governor as he is violating the basic teachings of Islam or he is an infidel. in the case of Rashid Emmanuel and Sajjid. One daily newspaper, Nawa-i-Waqt has written an editorial in favour of Maulana Yousuf Querashi, who issued a decree against Aasia Bibi and announced a cash reward for whomever kills Aasia Bibi. The newspaper wrote that Maulana was great in his decree and his action is according to Islam therefore Aasia Bibi should be killed. The speaker and legislators of the provincial Assembly of Punjab province who support the move against Aasia Bibi are no better. When Mr. Shara, a minority member of the assembly, wanted to discuss the issue of Aasia and her punishment, the speaker, Rani Iqbal Ahmad, refused to allow Shara to speak on the issue, describing it as “sensitive”. Protesting against the speaker’s attitude, legislators belonging to minority communities walked out of the House. However, when Ali Haider Noor Niazi of the Jamiat Ulema-e-Pakistan party began speaking emotionally on the same issue, the speaker did not stop him. Niazi began shouting within the assembly as he criticised those who were trying to defend the woman. Niazi criticised Punjab governor Salmaan Taseer for raising his voice in favour of Asia Bibi. “The governor has no right to make efforts for Asia’s pardon,” he said. Niazi was also of the view that those demanding the woman’s release are blasphemers. It is very much feared that Aasia Bibi or her family members may be killed during her detention or when she is released. The Punjab government is silent on the issue and allowing fundamentalist groups to decide all things. The deliberate institutionalisation of Islam’s status as protected and predominant promoted the perpetuation of religious intolerance by Islamic fundamentalists. According to data collected by the National Commission for Justice and Peace (NCJP), at least 964 persons were alleged of violating these anti-blasphemy clauses from 1986 to August 2009, while more than 30 persons were killed extra-judicially by the angry mob or by individuals. Militant Muslim organizations are using blasphemy laws as the best way to keep religious minority groups under pressure and even forcibly take land. The state is failing to protect the lives and property of minority communities. The blasphemy law has made it compulsory that no police officer below the level of Superintendent of Police can investigate the charges but this is rarely adhered to. Recent cases in Pakistan suggest a criminal collaboration among government authorities, police, and fundamentalist organizations, in which the Muslim clergy, receiving bribes from land-grabbers in the National and Provincial Assemblies, colluded with local police to expropriate land owned by minorities by bringing blasphemy allegations against them. The situation is especially worrying in Punjab province after the formation of the PML-N government, which has a record of intolerant policies against Christians and Ahmadis in particular. 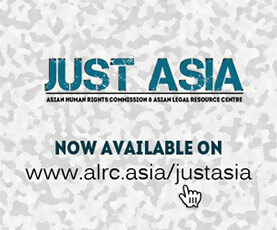 Please write the letters to the authorities urging them to pardon Aasia and release her immediately. Please ask them to arrest those Muslim leaders who are instigating the people to kill her and have announced rewards for killing her. Please also urge that the children and family members of her be provided protection and employment. The AHRC writes a separate letter to UN Special Rapporteur on the Question of Religious tolerance calling for his intervention into this case. I am writing to voice my deep concern regarding death sentence of Aasia, a Christian mother of five, on the charges of blasphemy by a court and the government’s inability to prosecute those elements who are openly announcing their intention to kill her or award cash money for that purpose. Because of lawlessness and government weakness the Muslim extremist groups are finding it easy to kill her extra judicially. From past experience it has been noted that up until now, blasphemy law had not led to an execution of any accused or convicted. But 33 people charged with blasphemy have been killed in prison by guards or in the vicinity of the court. It is very shocking that mosque leader Mahabat Khan, of Peshawar, has announced a decree calling for the killing of Asia and a reward of Rs 500,000 ($6000 USD) to be given to the killer. The call for extra judicial killing by an Muslim leader was totally ignored by the government, which shows that there is no rule of law in the country and every person can claim his own law is Islamic law. This amounts to a total collapse of rule of the law and justice system. Aasia Bibi, 45, a Christian and mother of five, was sentenced to death by a local court in Nankana district, Punjab province, on charges of committing blasphemy. Ms Bibi’s case dates back to June 2009, when she was asked to fetch water while out working in the fields and a group of Muslim women labourers objected, saying that as a non-Muslim she should not touch the water bowl. This resulted in exchange of hot words between her and Muslim women against each others’ religious beliefs. Five days after the incident, a local Muslim leader, Qari Salem, jumped into the matter and pressured some people in the area to claim that she committed blasphemy. When finding no way to get Ms. Bibi to confess, Salem used the loudspeakers of the mosque, as other Muslim leaders usually do in the cases of alleged blasphemy acts, to spread the news of blasphemy and instigate the people of the locality to punish the alleged blasphemer. The people of the locality beat her severely in the presence of her children. The local police came and took her into protective custody, but at the police station the crowd under the leadership of Qari Salem pressured the police to file a charge of blasphemy against her and arrest her for desecrating the last prophet of Islam (peace be upon him). On November 1, 2010, 16 months after her arrest, the court pronounced a death sentence on charges of committing blasphemy. The judge totally ruled out in his judgment any chance that Aasia was falsely implicated; he said that there were no mitigating circumstances. His comment in his verdict shows that he knew that it was a weak case and that people will oppose his judgment giving a death sentence to a woman in a blasphemy case for the first time in the history of Pakistan. According to the reports, the court relied on the witnesses provided by the Muslim leader of the mosque and Christians were not allowed to produce any witness. The judge also did not know that according to the 2004 amendment to blasphemy law the investigation of any blasphemy charges should be conducted by an officer who is at least a Superintendent of Police (SP). In the case of Aasia, all the investigation was done by a low rank officer, the Assistant Sub-Inspector. The governor of Punjab, who met Aasia in jail after her sentence and assured her that he would take her case before the president of Pakistan, advocating to pardon her. However, the Lahore high court suddenly stopped the process and said before the decision of the court that the government cannot do such a thing. All the religious groups and parties maligned the governor as he is violating the basic teachings of Islam. Ms. Bibi’s husband and children are hiding. They left the house after receiving threats from the Muslim extremists. It is difficult for them to survive, as the husband and his other brothers are always chased by Muslim groups. There is a strong chance that her family would be attacked and might be killed as these happened in previous cases when persons were accused of blasphemy. In a recent case of two Christian brothers, the AHRC informed the authorities of the threat well before those brothers were killed in custody. In another case dating from July 2009, a Christian youth was killed by extremists in November 2010 after being released from charges of blasphemy. I urge the government to take strong action against the fundamentalist Muslim leaders who take the law in their own hands in the name of Islam and want to rule the country with their extremist designs and misuse the blasphemy law. I urge you to immediately repeal the black law, the blasphemy law, or at least delete section 295 from the Pakistan Penal Code, release Aasia Bibi and provide protection to her and her family. Also prosecute those who issued decrees ordering the killing of Aasia Bibi.